Roaches are some of the most-noted indoor pests. They are also some of the mostly repulsed insects. Given the filth associated with them and the fact that they could leave allergens that could lead to asthma and microbes harmful to health, it is easy to comprehend why. Actually, there are thousands of cockroach species – 4500 to be exact. But there are only four of them popularly known as house pests. 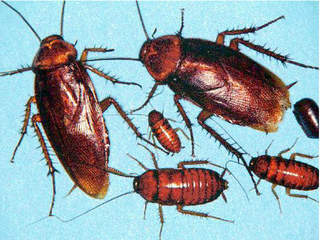 They are the American cockroach, German cockroach, Asian cockroach and Oriental cockroach. The key to prevent those roaches from getting into your house is to not make it their food bank. 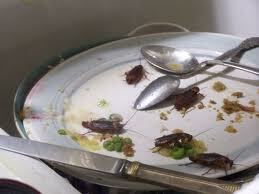 Like every other creature, without food, roaches would not survive for too long. But the problem is, you couldn’t really keep your house free of any food speck or spill all the time, could you? Sure, it is possible not to see any bit of cracker or chip on the table. But what about under it or in the gaps between your furniture pieces? Any food crumb in those dark areas could attract roaches. And the worse part is, you may not even know you have them as they are generally nocturnal. So what to do then? You got to look for those insects because that’s the only way to make sure you don’t have them. And if you do find any of them, but of course, you got to eliminate them. To kill roaches though is not the end of it. You still got to implement preventive measures to deter their return. To do otherwise is just unsanitary. It wouldn’t just attract a number of them but it would encourage an infestation of them. And needless to say, you wouldn’t like it if it happens. But before we go to the processes how to search for and kill roaches, let’s go over first the steps how to prevent them. After all, they are the first things you need to take. As earlier said though, you got to observe them always if you don’t want those insects flying all over your place. Keep Your Kitchen Clean and Dry. That’s where food is always is and that’s where roaches will also likely go to. Clear crumbs, spills and grease promptly. Also, keep the area dry. Most cockroaches like to lurk in moist places. Don’t Leave Dirty Dishes Overnight. The leftovers in them will attract roaches. 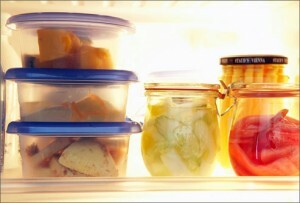 Keep Food in Covered or Sealed Containers. Fix Leaks. As mentioned roaches love moisture. Leaks and dripping faucets would encourage their presence. Seal Cracks. Those could serve as their entry points or breeding and hiding spots. Covering or sealing those cracks would help block their entrance and generally make your house more pleasant. Now, let’s go over to the search for those pests. You ask why? It’s because even if you think you have them but can’t see them, you couldn’t eliminate them. And so, you just got to look for them. The following are the steps how you should do it. Check Cracks, Crevices and Dark Areas. Cockroaches are not fond of light. Inspect those areas between your refrigerator and counter, shelves, under your table and gaps in your furniture. Prepare a Flashlight and an Extended Mirror. You’re going to need them when searching hard-to-reach areas. Be Alert of that Roach Smell. 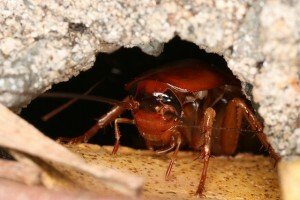 Cockroaches give off distinct foul odor. 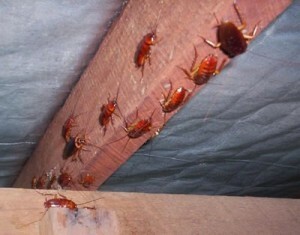 If you could smell it, then roaches are surely just within the vicinity. Inspect Moist Spots. As mentioned earlier, roaches love moisture. Search for them in parts of your house where water is always used or leaks are likely to occur. 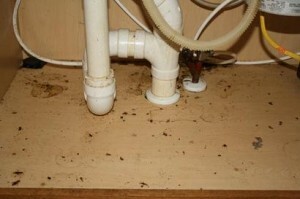 Among those areas are the spots under the sink in your bathroom and kitchen and basement. If you couldn’t see any of them in those areas you checked, you could use this trick to let them lead you to their hiding place. Enter the room with just a flashlight. In darkness, those insects would surely come out if you have them. Turn the flashlight on to confirm their presence. Watch where they would run off to. It will lead you to their hide out. Say you already determined where those insects in your house are hiding, what to do then? Well, it’s to kill roaches. There are three ways of how you could eliminate cockroaches. You could either bait them, call an exterminator or use a roach spray. This is a passive means to kill roaches and a risky approach as well. It is passive as you would have to wait for cockroaches to take on the bait and it is risky as the chemicals used on it could be dangerous to humans. 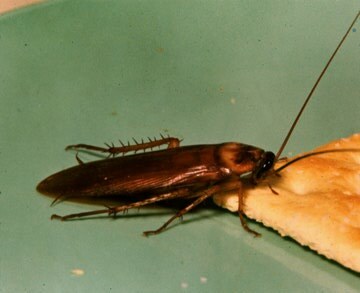 In addition to that, roach baits could also be ineffective to certain cockroaches. 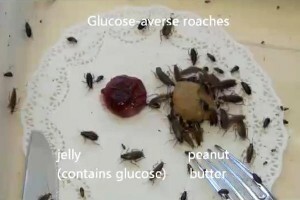 According to a report from sciencenews.org, it was discovered that some groups of German roach have evolved their sense of taste that sweet baits don’t work on them anymore. It was said by entomologist Coby Schal of North Carolina State University in Raleigh that the nerve cells of those roaches now register “sweet” as “bitter.” And so, instead of thinking that those baits are sweet treats, they now take them as bitter threats. “Cockroaches that don’t fall for traps’ sweet poisons have evolved taste cells that register sugar as bitter. In certain groups of the widespread German cockroach (Blattella germanica), nerve cells that normally detect bitter, potentially toxic compounds now also respond to glucose, says entomologist Coby Schal of North Carolina State University in Raleigh. The “bitter” reaction suppresses the “sweet” response from other nerve cells, and the roach stops eating, Schal and his colleagues report in the May 24 Science. 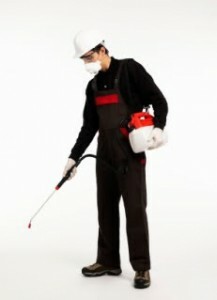 The good thing about hiring a pest exterminator to kill roaches is that he will do all the work needed for you. The not-so-good part is that you would need to spend big for it. That is why, before getting the help of a pest-control company, you should first check your budget. You should also consider the severity of the problem. If the presence of those insects has not yet turned into an infestation, then maybe you could just handle it yourself and save money in the process. And that leads us to the third means…the use of roach spray. 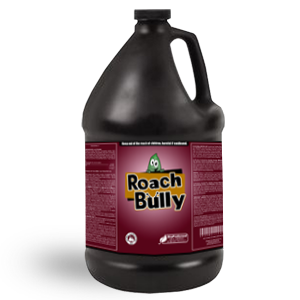 There are several roach sprays available today. However, like baits, most of them contain strong chemical ingredients. And that makes them not a good choice to kill roaches to preserve your health. They would just replace those insects’ risks to health. It’s a different story with Roach Bully though. It is effective just as hotels, hospitals, and pest-control companies that have been using it years have proven. And because it does not have the harmful chemicals that conventional pesticides have, it is safe for your health and the environment.